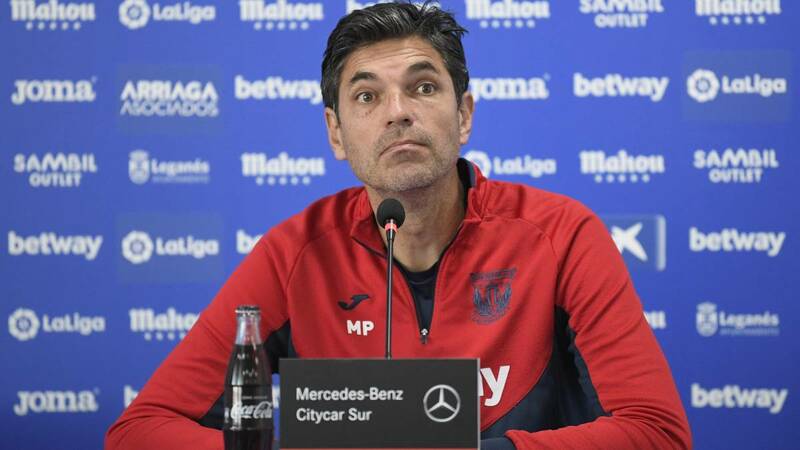 Home Soccer "They recommend me not to take Avilés to Camp Nou either"
"They recommend me not to take Avilés to Camp Nou either"
The canterano still does not travel with the first team because of the 'Chumi case' rule. "We did not call him against Real Madrid because they recommended us not to do so by having a penalty in the team where he plays, in the subsidiary." He has the medical discharge. He is fine, he has played football and the sensations are good because he has done explosive actions and has thrown a goal. The medical discharge has it and if necessary, it could be. You think that Barcelona incurred in improper alignment with Chumi judging by what happened with Avilés? Nos recommended the opposite and for that reason we decided not to include it. I was aware of that regulation. There are things in the open air and legal issues is not my ability or came to have it clear at all. It is a subject for them. El Leganés did not include Avilés because he did not want to risk or because he was very clear that he was exposed to a penalty? I could also list all the times I lost as a coach against the big ones, which are many more than I've won. For me the important thing is that he spent almost a lap since we played against Barcelona and they are not the same either. The teams as the championship goes on evolve, they are in a great moment. We have improved in some aspects and we have the challenge to keep growing outside. We know that it is a match of maximum difficulty and we are going with all the illusion of planting ourselves in the field and doing our best to try to get a good result. How is Leganes going to the field? Like wolf disguised in lambskin? Is it very difficult to stop Messi at the Camp Nou? Never have I been making personal marks. He is a player of many abilities because if he is close he can run, he is well marked. When the ball goes to the side he seems to be still but he is in the free space. Has assistance, shooting, it is very difficult to stop at speed unless it is at fault. It is a crack, for me the best player in the world. That's why he has so much difficulty. But we do not play against Barcelona but that is the great difficulty. ¿The victory against Real Madrid and the ovation of the fans gives more confidence? I am very grateful for the gesture. Despite being eliminated people rewarded the effort of the players. It's a nice thing that people see the delivery of the team, it's a pride that people left happy with what the team gave. I told my players, the signs of affection almost always come during difficult times. When one feels affection in a difficult moment, it is one of the most beautiful things of this sport. ¿Will there be more outings in the winter market? In principle the players that we wanted to leave have already left, at least those who had possibilities . We need to cover some positions but in outings we have to wait. In Argentina, Jara is located, on the side of Boca, on the Leganés radar. Is it true? There are some possibilities of some players who are evaluating. We are going to have to wait until the end because there are always many parties to these negotiations. I specifically know Jara because I have had him and he has a chance that we are evaluating because he is versatile and plays in several positions. We will see how this week progresses. But being an extracomunitario player at this time we could not include it. Braithwaite will replace Guido or will it take advantage of to strengthen the center of the field? Can be the two options. Brathwaite luckily is fine and luckily also Santos has returned to the team. Now that we are playing with two strikers it is good for us to recover. Let's see tomorrow how we are and decide the team. We can play with two forwards or with one, are two possibilities thatAre we thinking about more people coming in? In the twenty-seven players we had, there were Szymanowski, Ezequiel and Arnáiz who had surgery. Actually we could not count on so many. This week I had to take three defenders to the bench because I had no more. There are times when one tries to cover himself taking into account injuries and penalties. It is not ideal to have so many people but it is a necessity. Between the ideal and the need is always better to be covered to be prepared when we need it. ¿Avilés can go to the Camp Nou? By what I understand can not go. The club recommended that I not take it so as not to take any risks. Diego has had a virus that has left him out for quite some time. He has begun to return little by little because he has lost weight. He is training with the recuperator.